A stunning piece created for a wonderful home. 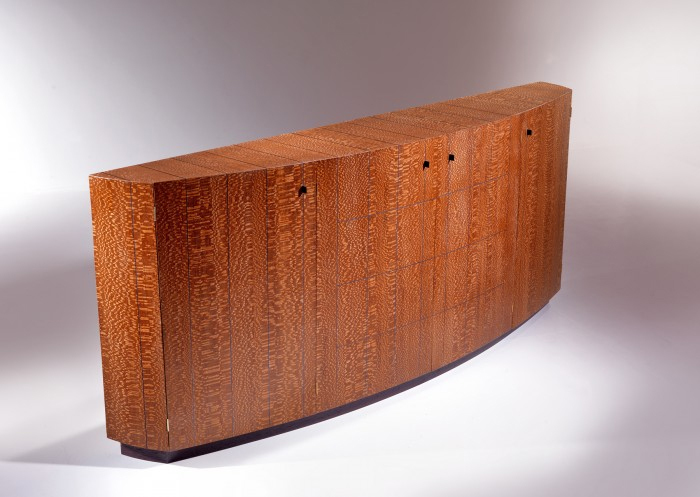 This cabinet has the simplest of lines and yet harnesses the natural beauty of the shape, the veneers used and the craftsmanship of the making to create something really special. The cabinet is made from Louro Faia with blackened Box Wood inlay and solid Ebony handles. Internally the construction is pale Maple which gives a light and clean internal layout that contrasts with the external colours of the cabinet.